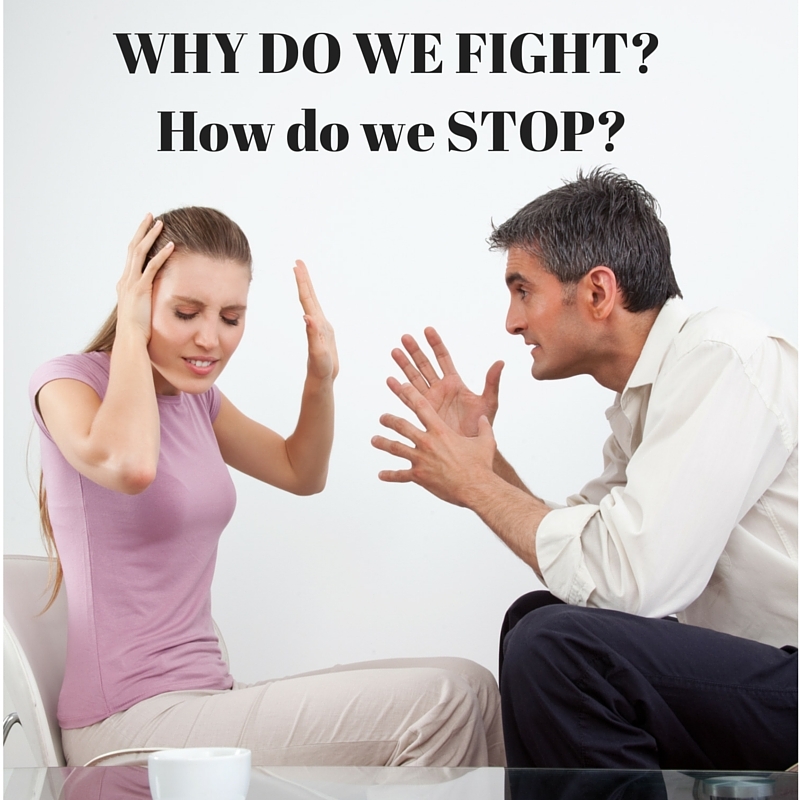 Ever wonder why you and your spouse fight? The relationship started out so beautiful, loving and fun. Then marriage, kids and bills became the norm. Somewhere in the mix you’ve added wedges and now you’re just stuck in a rut of constant spinning and fighting. What happened? We want to place blame. “Well, he did or said this or that”. “He knows me and knows how to push my buttons”. “He doesn’t seem to care anymore so why should I?” The blame game is lame ladies. I can tell you from experience that the answer is very simple. … SELFISHNESS. I’ve been married for over 20 years now and because I am basically an only child and very independent, I can be selfish in my marriage. My husband had preconceived ideas about marriage and raising children, so he too can be very selfish in our marriage. The cool thing here is I have God’s word to back me up on this. So if I’ve already got you thinking that you’re not selfish in your marriage and that I am wrong on this one, check out James 4:1-2. “What causes fights and quarrels among you? Don’t they come from your desires that battle within you? You desire but do not have, so you kill. You covet but you cannot get what you want, so you quarrel and fight. You do not have because you do not ask God”. NIV. See? Selfishness. What causes these quarrels? YOUR desires. Now these verses aren’t specifically about marriage relationships of course, but the point is very clear. We fight because we do not get what we want. We want our man to help out. We may ask him to take out the trash, fold the laundry or even bathe the baby, but he gets sidetracked. He’s tired and falls asleep on the sofa. And we get MAD. Or we don’t even bother to ask him for help. Instead we stew in our frustration, because he has eyes. He can see the trash is overflowing. He should just take it out. We shouldn’t have to ask. So we get MAD. We put a wedge between us and our guy. Next thing he knows, his lady is torched at him and he has no idea why. He figures she’s PMSy and puts a wedge between her and him. Eventually we have a fight going. It can be a mess. If we don’t fight fair and use our minds instead of our emotions those wedges just keep getting bigger and no one wins. Well actually someone wins … The enemy. He wins. If we allow the wedges between us and our spouses to get bigger, the enemy wins. The more he can separate us from our man and God the faster he will devour our marriage. So why do we fight? Simple, we are selfish. Our man is selfish. The bigger question is how do we stop this fighting? We must recognize first that we are being selfish. We may think we are in the right, but in reality we are mad for a reason. Think about your last fight. Why were you fighting? Where you being selfish? You wanted something to happen, what was it? Were you protecting or justifying a behavior? What was it? Once you figure that out, you’ve got to decide what is most important in your marriage. Maybe this will require a heart to heart with your spouse. Sometimes ya just gotta express your expectations to each other. Jeff and I haven’t really had a “fight” in 2 years. We have however had plenty of heart to hearts. Even late night ones. It’s been a long rebuilding process, but it has been totally worth it. Our marriage is better than ever. But the wisdom that comes from heaven is first of all pure; then peace-loving,considerate, submissive, full of mercy and good fruit, impartial and sincere. Peacemakers who sow in peace reap a harvest of righteousness. There are a few techniques we use to keep from fighting. Pray before a discussion. Ask for Wisdom. Talk about things right away. Don’t wait, that builds walls. In the middle of a discussion, if tension is rising, imagine Jesus is standing behind your man looking at you. Repeat what you heard to be sure you understand what the other person is trying to say. Do devotions or a bible study together. And most of all love one another as Christ loves you. How do you keep from fighting with your spouse? Do you use any of these techniques? Leave your answer in the “Leave Reply” link above this post. I am in love with this article, why? Because recently my boyfriend and I (only of about six months together, but not residing together) ended up in my home for about three months together. It was difficult and challenging as we had not discussed him being here so long this soon in our relationship. What ended up happening was an argument, that led to him going home and then our communication opened up fully. I learned about him, he learned about me and our communication grew stronger because we learned through this somewhat negative experience to listen to each other, really listen and be open about what each other is feeling and saying! Brandy. Thank you for your thoughts on my post. Marriage and relationships in general can be so tough, but without proper communication they are quick to suffer.